In some cases, a defendant can be released from jail post-conviction if he or she has been denied their fundamental rights. An attorney files a writ of habeas corpus. A defendant may seek a writ of habeas corpus. The legality of imprisonment is challenged in these cases. It’s a court order given to the jailer or the penal facility that seeks to deliver the defendant in question to the protection of the court issuing the order. Writs of habeas corpus are written into the constitutions of many states as well as the U.S. Constitution, which specifically forbids the government from suspending writ proceedings with the exception of extraordinary times, such as times of war. 3 New evidence coming forward that indicated a defendant’s innocence. Applications for writs of habeas corpus may be filed in both federal and state courts. The habeas corpus provisions are found under the Texas Code of Criminal Procedure Chapter 11. An application for a writ of habeas corpus must be filed after final conviction in a felony case with the clerk of the court in which the conviction is challenged in a case not involving the death penalty. A writ of habeas corpus gives a jailed suspect the right to ask an appellate judge to set them free or order an end to their improper jail conditions. The law is opposed to people being jailed violation of their rights. However, a request for a writ of habeas corpus is no guarantee it will be granted. On occasions, habeas corpus writs make national headlines. In the wake of President Donald Trump’s travel ban of nationals from seven mainly Muslim countries in January, a habeas corpus petition was filed by the ACLU, to prevent people already in custody in the US from being deported. The New Yorker highlighted the fact a terrorism attack could be used as justification to suspend habeas corpus. The article pointed out President Abraham Lincoln suspended the writ of habeas corpus during the Civil War and ignored courts that insisted he lacked such a power. 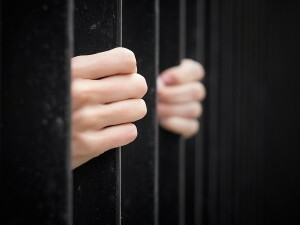 If you believe you were unlawfully imprisoned, a Fort Worth criminal defense lawyer may be able to help you. Call us at (682) 204-4066.